The Motorola has launched their Android One smartphone called Motorola One in India.The handset was early launched in Berlin IFK 2018.The device is equipped with P2i water repellent nano coating on its display. 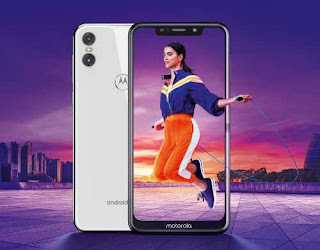 The Motorola One specifications includes 5.9 inch display with 1520×720 pixel resolution.It has 149.9 mm length,72.2 mm width and 7.9 mm thickness.It is powered by 2.0 GHz Snapdragon 625 Ocracore processor and Adreno 506 GPU.Its hardware is mated with 4GB RAM and 64GB internal storage.It also allows expansion of storage up to 128 GB via external sd card slot. 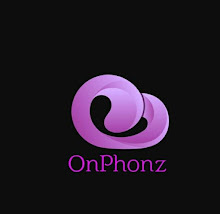 For photography,it has 12MP+2MP dual camera setup with LED flash fitted at rear.For selfies,it has 8MP single sensor at its front.For power juice,it is packed with 3000 mah battery which supports 15W turbo fast charging.The handset will run on Android 8.1 Oreo out of the box,but company claims the device would be upgrade to Android 9 Pie later. Interns of connectivity,it has dual 4G VoLTE,GPS,wifi 802.11 a/b/g/n,wifi hotspot,Bluetooth,USB Type C and 3..5 mm audio jack.The phone will be available in Ceramic Black and Clear White with a price tag of Rs.13,999 in India.